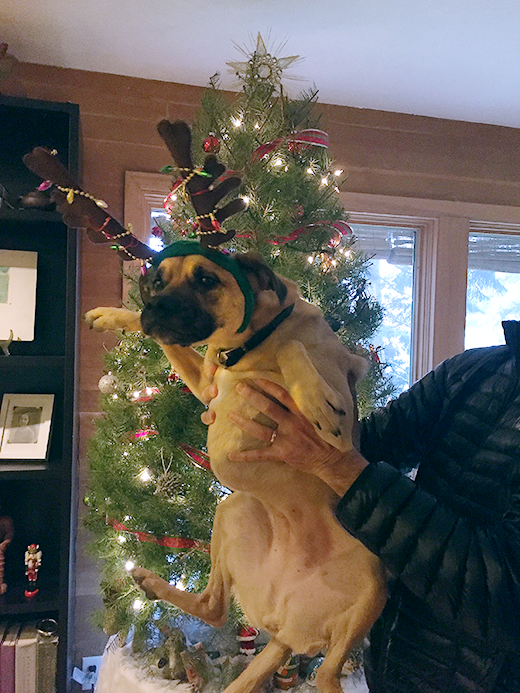 Happy HannuChristmaKwanzaSolstiFestivus to you and yours during this bright holiday season – and please, accept another hearty congratulation from me for almost making it through 2016! This is a long read so read as much of this post as you wish. But, if you make it all the way to the end there is a little surprise for you...ha! January, 2016, was one of those rare months when I stayed home and endured the vicissitudes of Oregon's wet winter rain. But the upside of being home was I could rest up and prepare for the coming Spring which was packed with trips, events, and workshops. Mid-March, My lovely wife flew down to meet me at for my Palm Springs opening and we stayed a few extra days to hike around to see the magnificent Jefferson Palms in Indian Canyon, and tour Joshua Tree, before setting off back home to Oregon along the backside of the Sierras. Driving up highway 395 seemed like a good idea at the time until a storm front blew in on day two, which made it difficult to get across the Sierras, the Siskiyous, or the Cascades, and back home. It was early Spring after all, right? What was I thinking? But hey, we made it safe and sound by swinging into Nevada and so at the end of April my next task was to drive back down to Carmel, California to teach the first workshop of the year. I love Carmel but I had just driven up the entire east side of California only to find myself driving halfway back down the west side again. Which can give you a more nuanced understanding of Willie Nelson’s "On the road again". I finished up April by flying out to Atlanta, Georgia, where I participated in Olmsted Plein Air for the first time. Again, what fun. What a great event and fine group of people. I got to experience southern hospitality for the first time, and well, liked it so much I am prepared to experience some more when I return in 2017 with a smile on my face and a better idea of what to expect. I sold well during the event, with my signature painting being purchased by the Cherokee Town & Country Club for their permanent collection, a social milieu generally referred to in something of a hushed voice because the Cherokee is one of the old-school clubs in Atlanta. Amusingly, one of the things that stuck in my mind at the Cherokee – go figure – was a rivalry going on between a another club as to how much maple sugar could be carmelize onto a piece of fried bacon. Stop and think about that for a minute. I am a foodie – I'll admit it – and I tried some, and well, talk about gilding the lily, right? "Baaaacon" + a thick crunchy layer of sugar crust, right? But who am I to judge, given some of my own personal culinary quirks? And apparently, some southern tradition foodstuffs are sacred. Especially if they are deep fried. Clearly this rivalry was good-natured for most, short of coming to fist blows, and better than the Sharks and the Jets or the Bloods and the Crips, and I plan to try more of Cherokee bacon when I return. Because I am Switzerland when it comes to food. Unless Brussel Sprouts are involved. I flew back home in mid-May, looking forward to time with the family but the first week of June I had to drive up to Annacortes, WA, to the tip of Puget Sound to judge a show of really good PNW painters, and then drive partway back and take a ferry over to Bainbridge Island to teach a workshop for a Washington artists' group. Both Annacortes and Bainbridge can be stunning if you catch the weather just right and I was blessed to do so. Always good for a plein air class. After all the judging and teaching was done, and the hugs and tears exhausted, I drove home looking forward to painting in my own backyard for a while. Backyard in the sense of painting the area where I grew up, where I learned to paint, but had been sorely neglecting over that past ten years. I spent the rest of June, all of July, and the first few weeks of August painting in old haunts, revisiting favorite subjects, and feeling more grounded as a result, producing work that would eventually appear in one of my rare Portland gallery shows in the Fall. Not being one to lounge about, I submitted and had several paintings juried into national shows, such as the American Impressionist Society and the Western Regional of Oil Painters’ of America. That sort of thing. But still, I was happy to be home in the Pacific Northwest quietly making art in my own ‘hood. 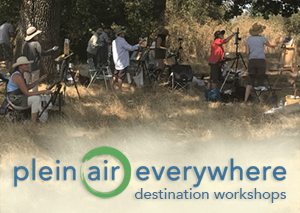 Then late August rolled around and I remembered I’d juried into the Pacific Northwest Plein Air held out in the Columbia Gorge and packed up the kit again. However, this event was only a couple of hours east of Portland and I'd be painting an area I knew intimately with many long-term friends. PNWPA went well too. I had a great time, sold well, and was honored with First Place…Best of Show?… whatever it is called, and more notably, was also honored with a Museum Purchase Award from the Maryhill Museum. Yes, this was my second museum purchase and it felt good. (The painting is now hanging but I have not yet gone out to see it.) It was a painting I hadn’t planned to execute. I just got a wake up call from a couple of friends encouraging me to paint a tribal fishing ladder at sunrise below the Dalles Dam and I thought, heck why not? Well, thank you for waking me up. That painting turned out to be one of my favorites of 2016, and that was before it was purchased by the museum. (Have I mentioned it was purchased by a museum yet? ha!) Every now and then, when you aren’t paying attention, you knock one out of the park, and on that day it was my turn. Truthfully, it could have been any other the other painter as well. Actually is was. Another artist also had work purchased by the museum. So a few more weeks go by and I hit late September. I find myself frantically preparing for two major events at the same time: a show of a large body of work at my local gallery (Brian Marki Fine Art | Portland) and what would be my final plein air competition of the year on the East Coast. It may have been two weeks of pure craziness, but on the first Thursday of October, my gallery show opened and went well. Five hours later I found myself on the 4:30 am flight to Boston, dozing. Cape Ann Plein Air was brand new spankin' event launching out on the coastline of Massachusetts above Beantown and I wanted to be in on it. So after I landed I grab my rental and drove up to the cape and begin scouting locations to paint, in and around Gloucester, Rockport, and Essex, and Manchester-by-the-Sea. (Note the English names, yes? That's not even all of them on the cape.) Cape Ann is juts off into a major Atlantic fishery and it is filled with American history writ large, and in many ways its presence and culture was the precursor of our country today. 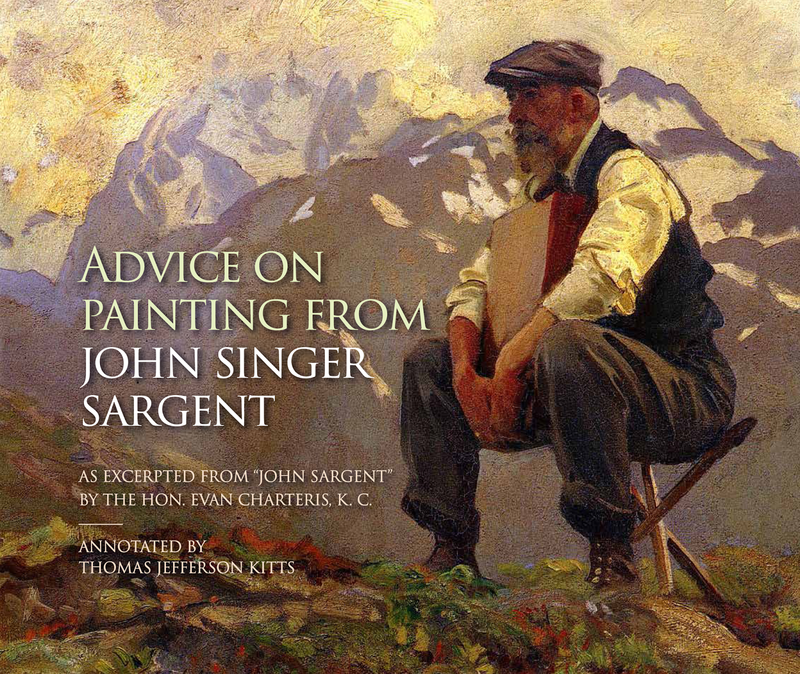 Skip forward a few centuries to the late 19th and early 20th century and the cape becomes the birthplace and nursery of what I have pursued most of my professional life – American Impressionism. Almost all the exemplary American landscape painters of that period spent time on the cape, from Homer, to Potthast, to Duvenek, to Hopper, plus many more. For me, Cape Ann Plein Air was another opportunity to paint old-timey boats again, with old-timey flotsam and jetsam lying about, which I did with much gusto. (Thank you, CW, Steve, and Stape, for sharing some of your finest and perhaps few remaining 'fishing holes' on the cape.) And again, I did well, walking away with a lovely ribbon and a new gallery in Gloucester, which, if you are a local you pronounce 'Glawsta', not some other three-syllable word you think you should say. Samoset: Sam-oh-set or Sum-aw-set but nevah Summerset! And now it is December and 2016 is winding to a close. But my thoughts are already turning towards January, 2017 when I will head out the door again. 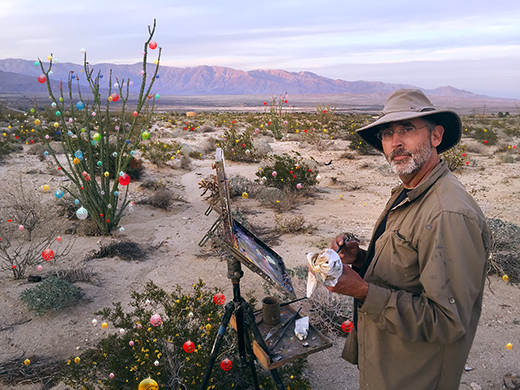 I'll be starting off in Florida, painting in Key West and working my way up to Key Largo, wear I will teach in Ocean Reef, before flying directly out to Scottsdale, AZ to teach some more and paint in the desert (see above). Then home again for a week before flying down to San Miguel de Allende, Mexico with my wife and our best friends to teach again and paint with more good friends. Then home and off to Borrego Springs like a ricochet Then home and back out to Atlanta to teach and compete. Then home and back to the Forgotten Coast to paint some more. Boing, boing. I think that takes me to the end of May. And then…? Anyway... Merry Christmas to you, and I wish you a Happy New Year filled with lots of painting, lots of collecting of paintings, and any other kind of adventure you will have!